The former India captain is currently the head coach and technical director of Kozhikode-based Kerala Premier League club Quartz FC. KOCHI: Fans of Indian football remember Carlton Chapman as the backbone of Indian football orchestrating the game effortlessly from the midfield in the late 1990s. These days, though, he is busy churning out a new generation of talented footballers from Kerala. 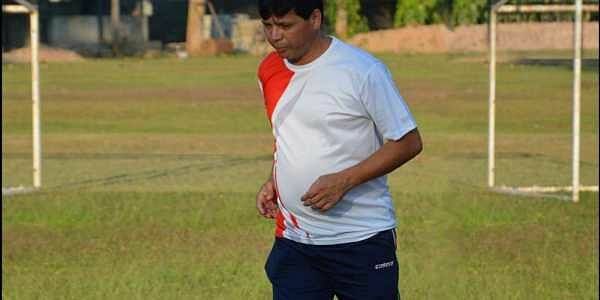 The former India captain is currently the head coach and technical director of Quartz FC, a Kozhikode-based football club who are off to a flying start in this season's Kerala Premier League (KPL) with their sights trained on winning promotion to I-League in the upcoming season. "Kerala is like my third home -- after my hometown Bengaluru and my second home Kolkata," said Chapman who had spent the 1997-98 season alongside fellow greats like IM Vijayan, Jo Paul Ancheri and Raman Vijayan at FC Kochin -- considered the first professional club of India. Chapman has guided Quartz to four wins out of four in the home-and-away league. "Gokulam Kerala FC had many I-League players and their new foreign coach Fernando Valera in the dugout. SBI Kerala, meanwhile, had a few players from the Santosh Trophy-winning Kerala side," said the 46-year-old. After bidding farewell to his playing career, Chapman took baby steps in the coaching field with a six-year stint at the Jamshedpur-based Tata Football Academy, his alma mater, starting 2002. And he for one knows the importance of youth development. "You can find plenty of talented youngsters in the country. But you need to trust them and give them a chance to prove their mettle. That is what I am doing with players like Paramesh, Mohammed Akbar and Favaz here. They will one day become the future of Indian football," he said. "Compared to the 1990s, football has become more popular in Kerala and other states -- thanks to the Indian Super League and clubs like Kerala Blasters. Also, the state leagues and other competitions are being held regularly which wasn't the case before. We have more clubs meaning players get more opportunities to develop their skills," the former East Bengal player said. "There are also a lot of very good school and college sides in Kerala now proving that the participation in the game has increased at the grassroots level," he said. At the same time, Chapman is concerned that ISL clubs like Blasters are not giving enough breaks for youngsters. "FC Kochin had promising local players like K Anson and AS Firoz playing alongside the who's who of Indian football. But at Blasters, you only see already established stars like Rino Anto and CK Vineeth getting regular chances. I would say they are wasting away the talent of many young local footballers. This definitely has to change," said Chapman.